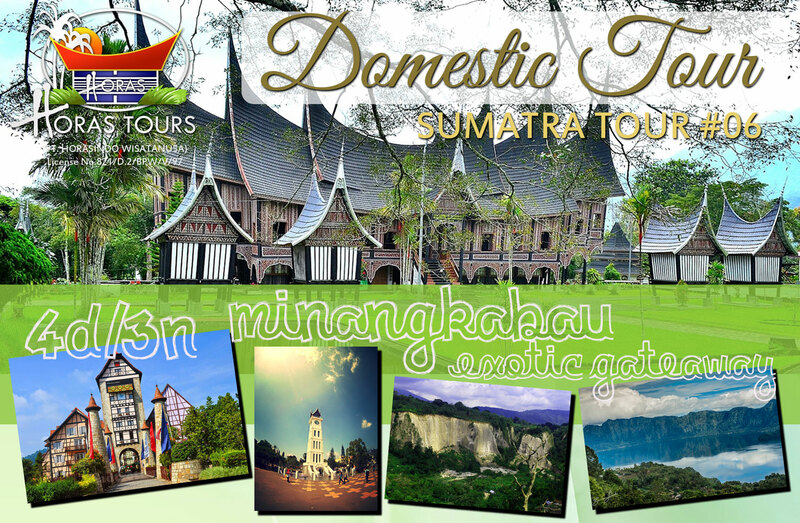 Sumatra is a bountiful island blessed with fascinating natural spectacle, exotic wildlife, as well as divergent ethnicities that live alongside each other. 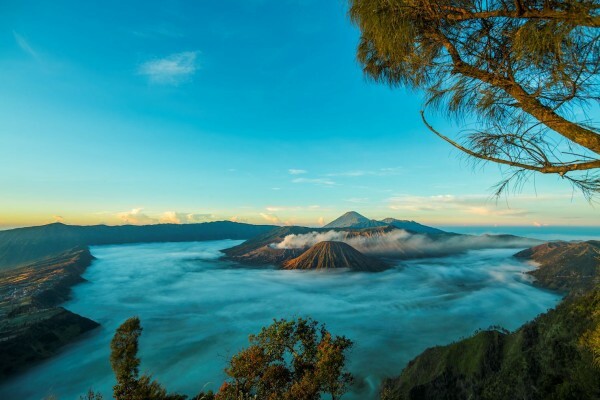 More than just a home to the legendary Lake Toba, endangered Orang Utans, and the delightful Batak culture, Sumatra has plenty of unexplored wonders waiting to be discovered. 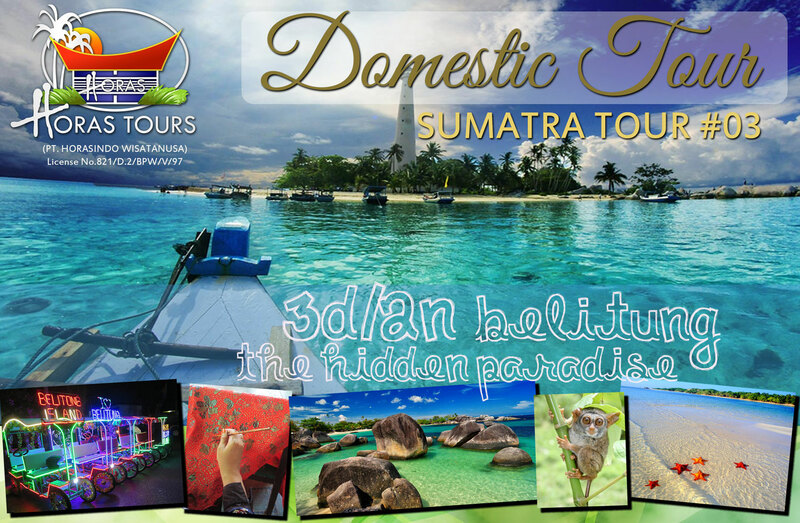 It is our great pleasure to unlock these hidden havens and continually bring you the exclusive vacation in Sumatra. 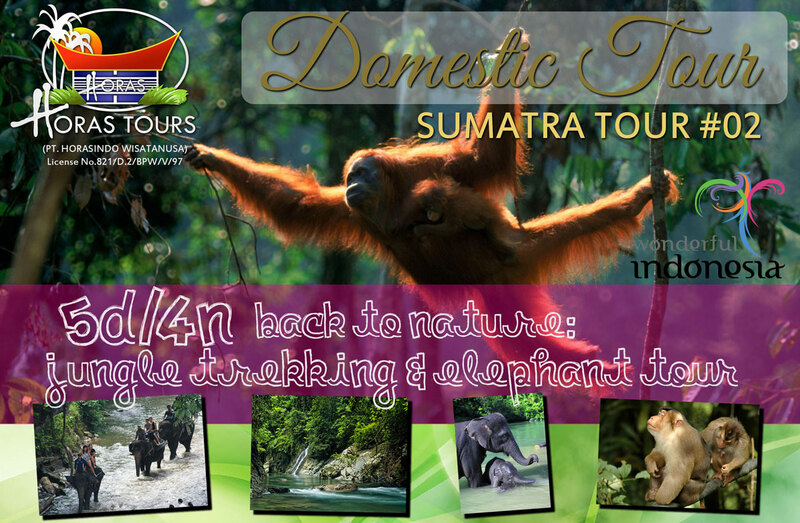 As Sumatra’s tour specialist, we have put together countless custom-made tours to the island’s favourite spot. 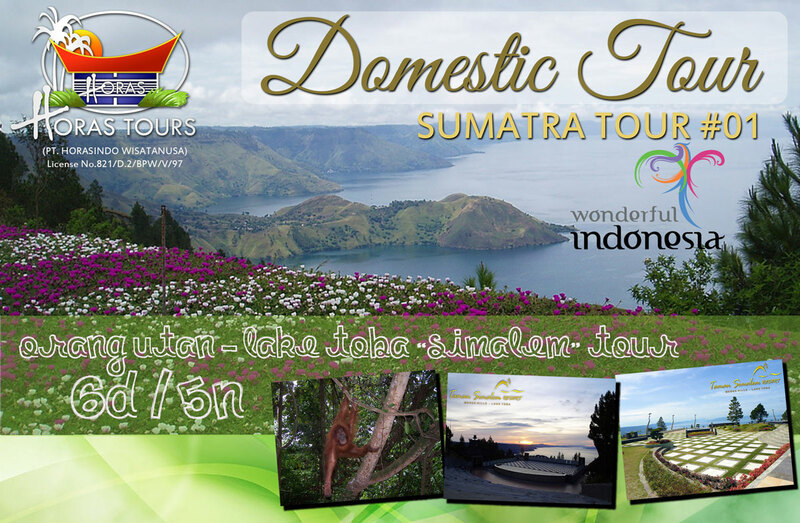 Take a look at our top 10 most popular tour selections and let us know how we can specially cater to your agenda. 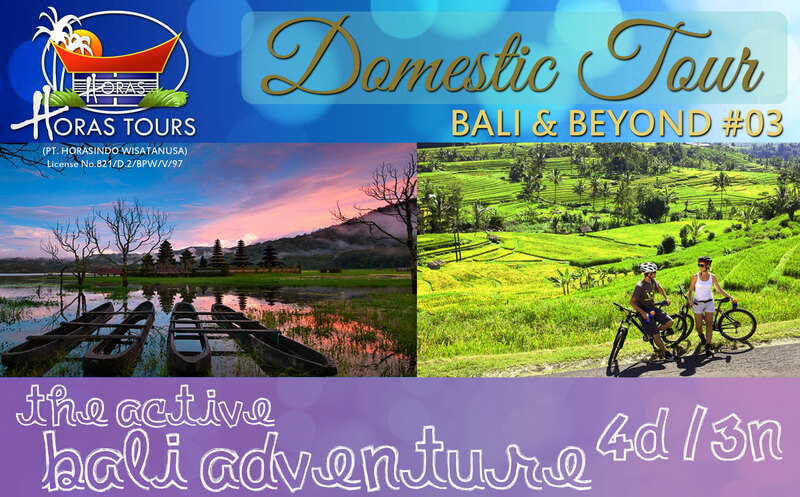 If any of our tour packages could not quench your thirst for adventure, create your own dream vacation and contact us through our Custom Indonesia Tour page today! 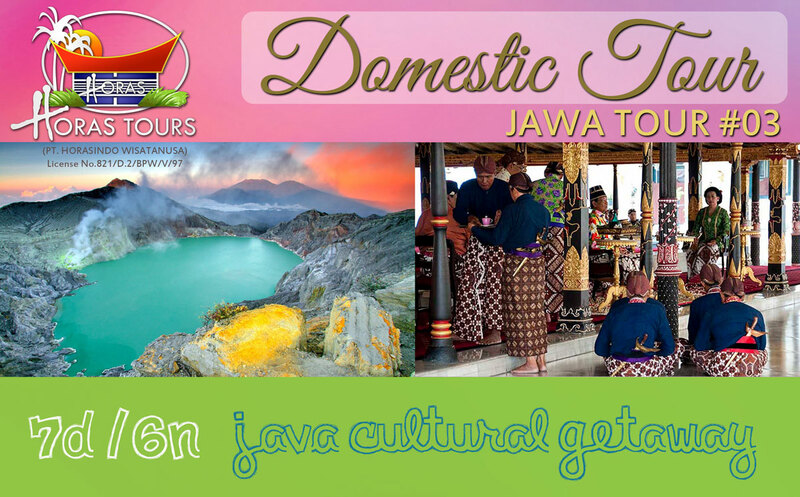 Java, the historical island where ancient culture and bustling metropolis meet. Shop your way through Jakarta’s dynamic hustle-bustle — Indonesia’s capital city where you can find almost anything from the lowest bargain price to the upscale luxury goods! 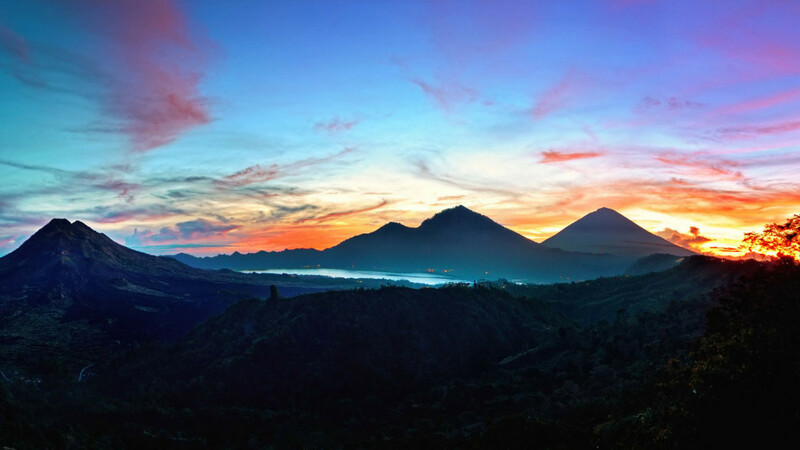 Step out of the big city and be greeted by the remarkable panoramic landscapes and the warmth of Java’s hospitality. 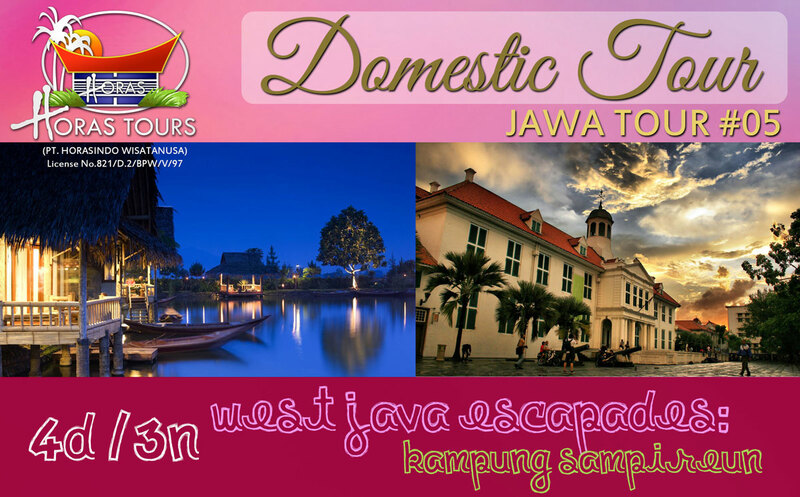 Travel further to the central and east side and explore the artistry and intellectual heritage that is proudly Java’s legacy. 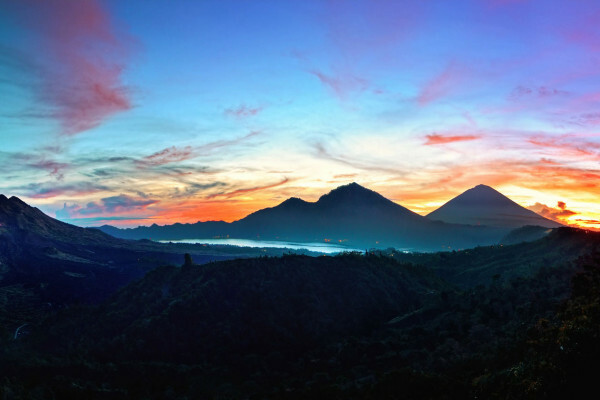 Don’t miss a visit to the profound Borobudur Temple, historic Prambanan Temple, mythical Ijen Plateau, and a hidden sanctuary in Garut just to name a few. 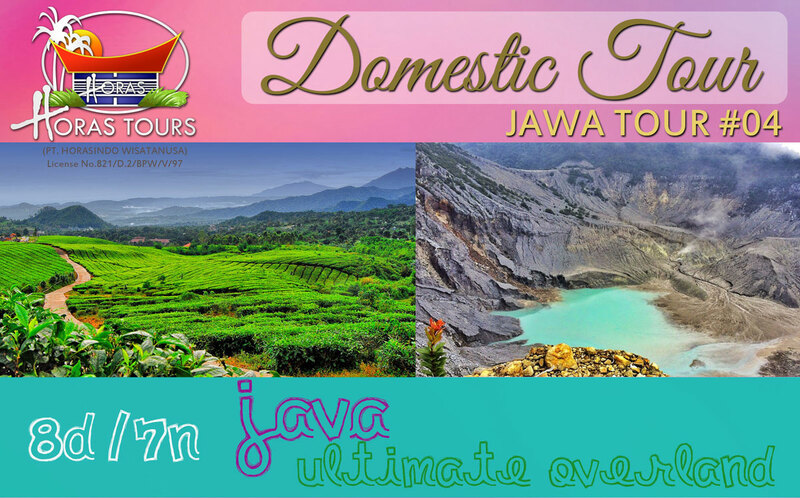 Explore the rich island of Java and get the complete customized package with us. 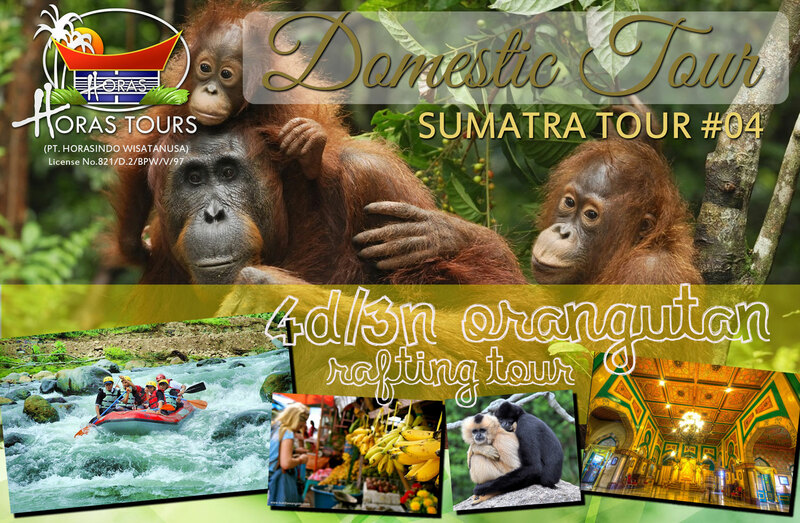 Home to the oldest rainforest in the world, Kalimantan offers the unmatched jungle exploration to some of the most extraordinary floras as well as the exclusive Borneo wildlife. 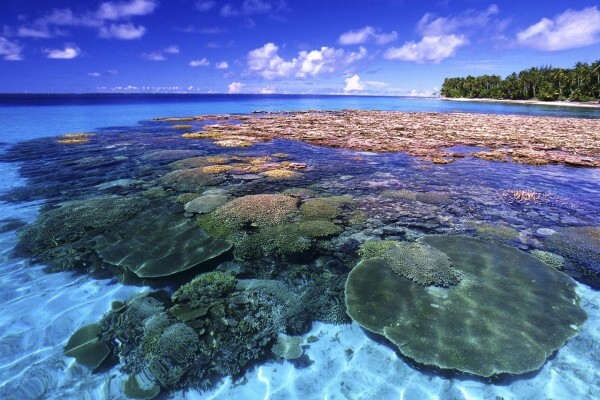 Occupying two-thirds of Borneo Island — the third largest island in the world — there are limitless adventures awaiting your discovery in Kalimantan. 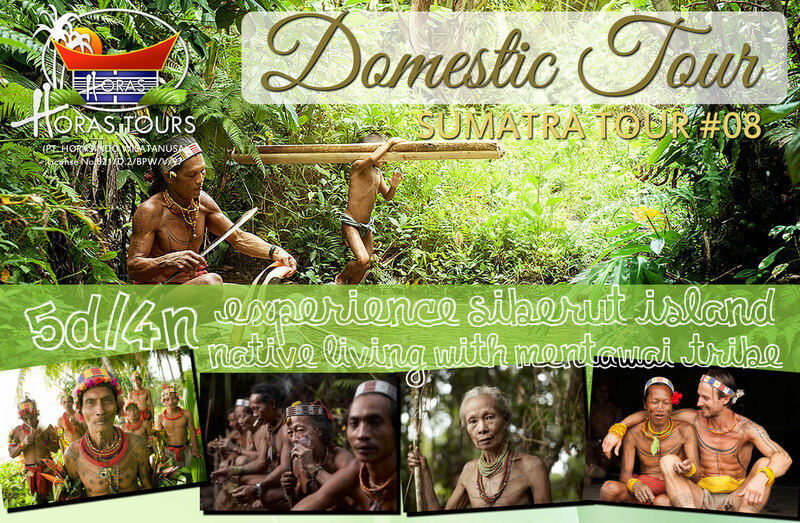 Discover the enchanting 140-million year old Borneo forest, meet with the friendly Orang Utans in their preserved habitat, navigate through the Mahakam River and stay with the indigenous Dayak tribe for an insight to the traditional life. 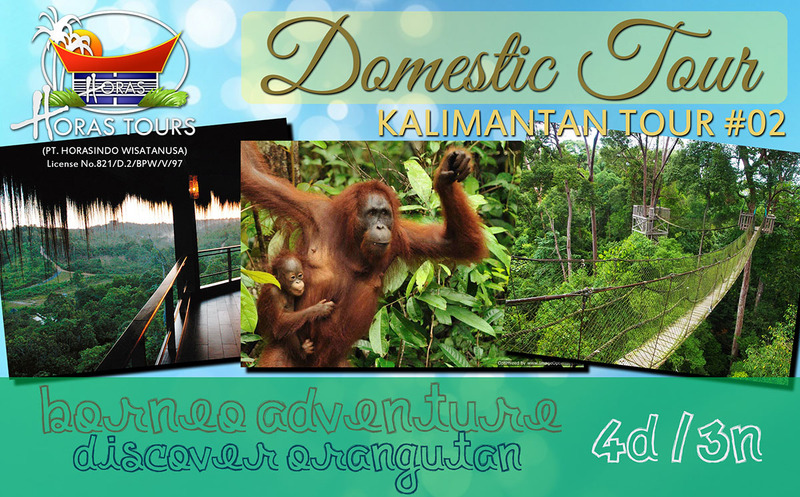 Venture Kalimantan in its authenticity, and let us whisk you away to an unforgettable adventure at the heart of Borneo. 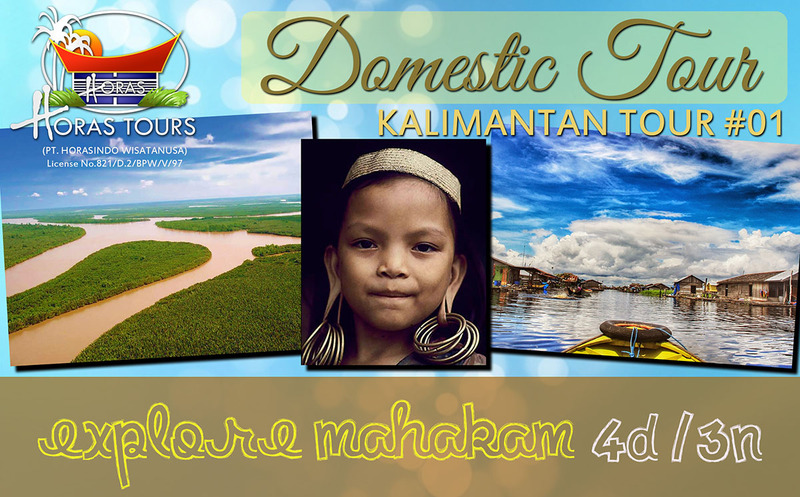 Take a look at our most popular tour, specially focused on the attraction at East Kalimantan, and plan your fun holiday with us today! 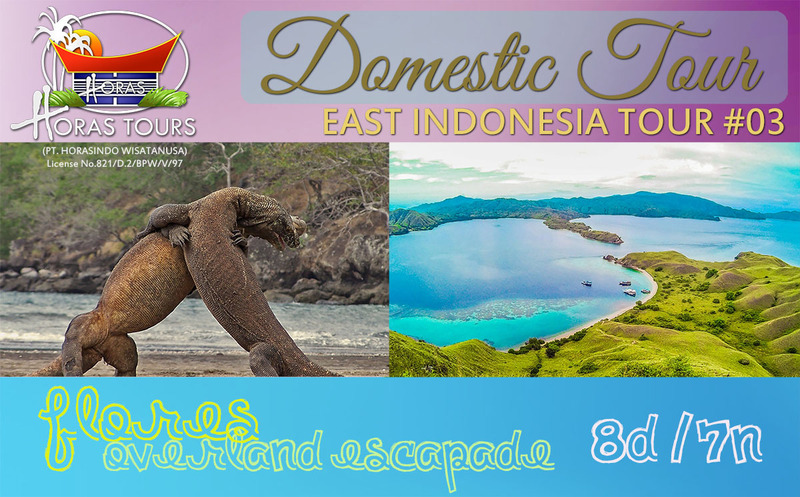 Nothing can quite prepare you for the epic journey you will have in Sulawesi. 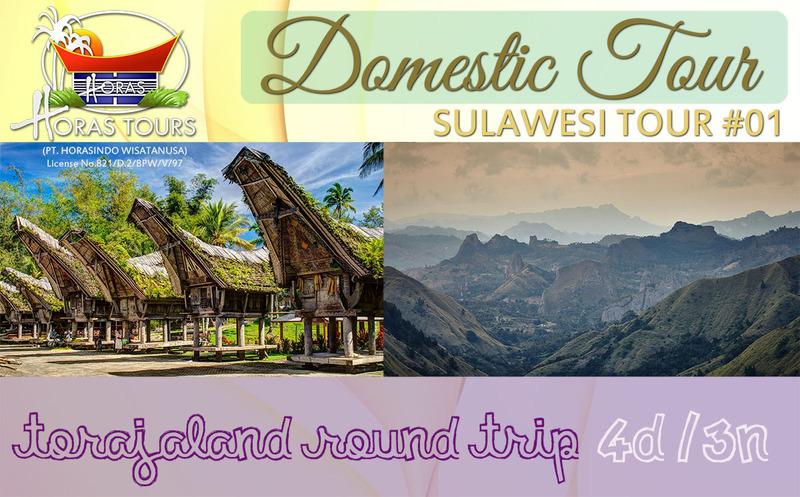 Filled with the awe-striking sceneries of lavish rice paddies, abundant plantations, gorgeous valleys backed with the impressive view of the mountains, these natural wonders are only paralleled by the fascinating heritage and tradition of the Toraja people. See up close the unique culture of the people in Torajaland that adheres the beliefs and rituals of life and death celebration. Their elaborate death ceremonies and stone graves continue to be the mostly-sought attractions of Toraja until today. Hidden behind the impenetrable mountains of central highlands of Sulawesi, the tribe was fairly isolated and independent from the outside world, preserving their culture and nature from outside influence. 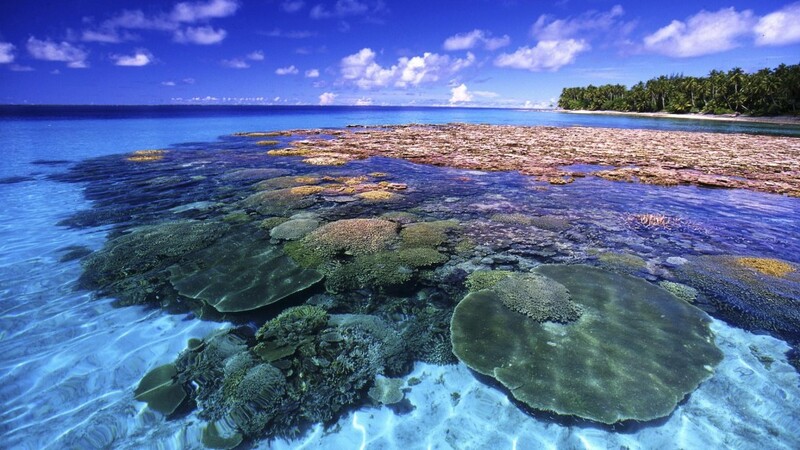 Travel with us and experience the one-of-a-kind adventure in South Sulawesi. 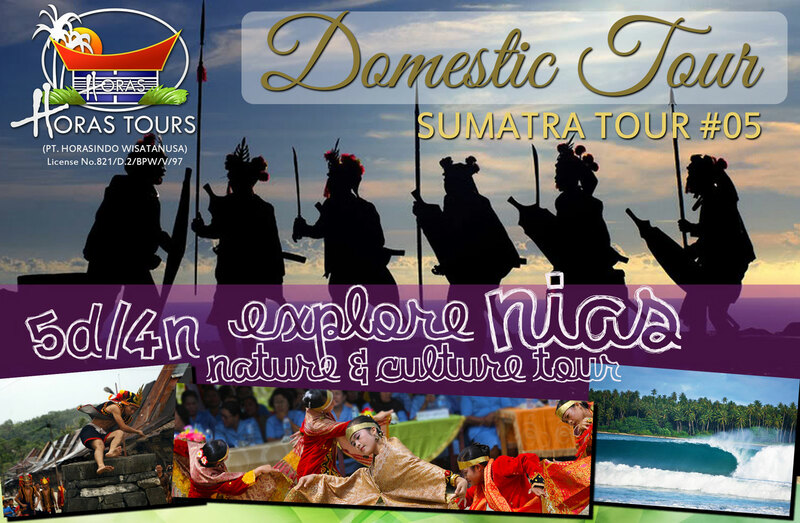 Contact us for a customized tour package based on your preference. 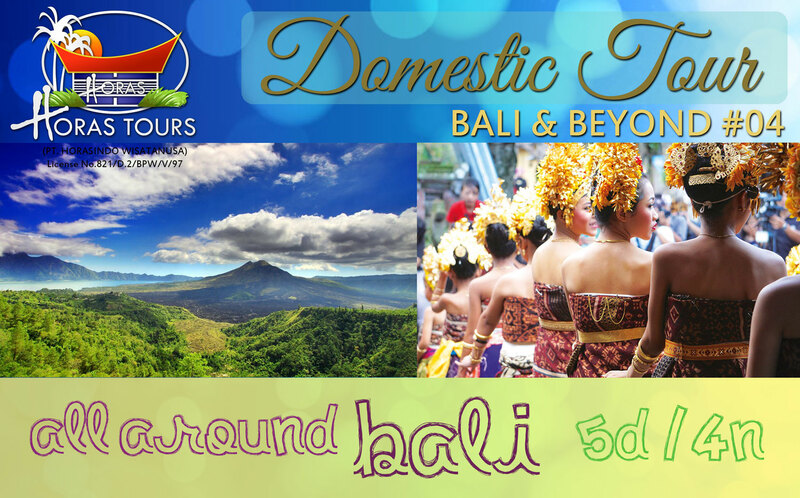 The fame of Bali’s spellbinding beauty has preceded even the name of Indonesia to the ears of globetrotters. With equally captivating yet still unspoiled mini-islands around, you can always hop to other destinations for a more peaceful settings. 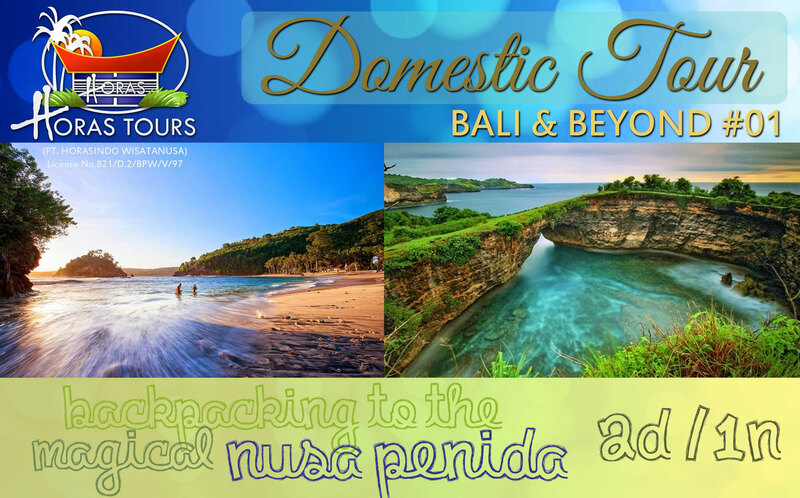 Whether you are looking to retreat to a secret gateway at Nusa Penida or party your night away in Kuta; enjoy the breathtaking view of Gunung Agung, exquisite temple in Tanah Lot, or the delightful art & handicrafts in Ubud; snorkel in Menjangan Island, rafting at Ayung, or simply watching the Kecak & Fire Dance at Uluwatu; this paradise island has it all for you — and we are just getting started! With plenty of destinations to choose from, we are here to help you find the most suitable arrangement for your time and preferences. 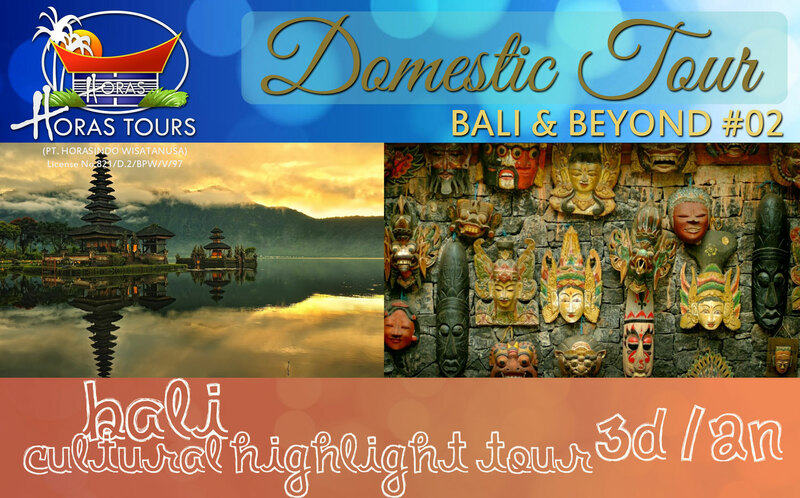 From introduction to Bali’s most favourite destinations to the off-the-beaten track experience, we look forward to cater you with our exclusive insights to get the best of Bali & Beyond. 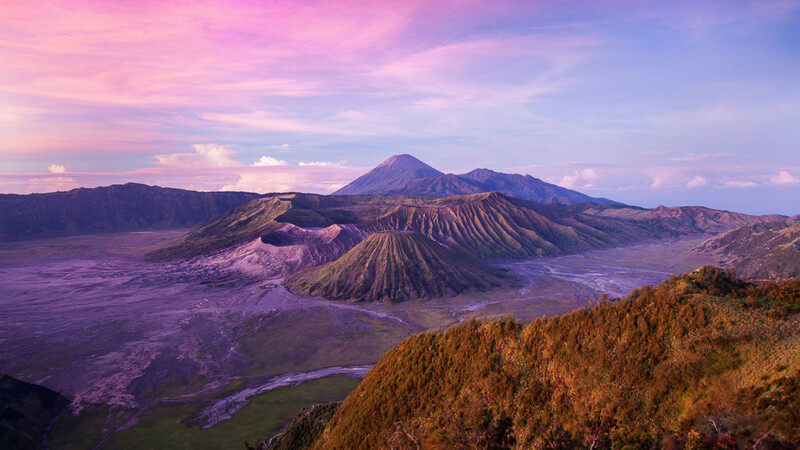 If there was one word to describe East Indonesia, it would be “Captivating”. 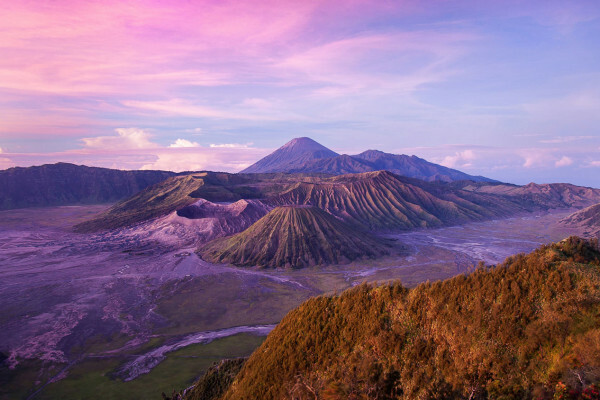 Feast your eyes on the mesmerizing beauty of Sumbawa, Flores, Rinca, and Komodo Island’s natural treasures from the glorious landscapes down to the extraordinary underwater life. 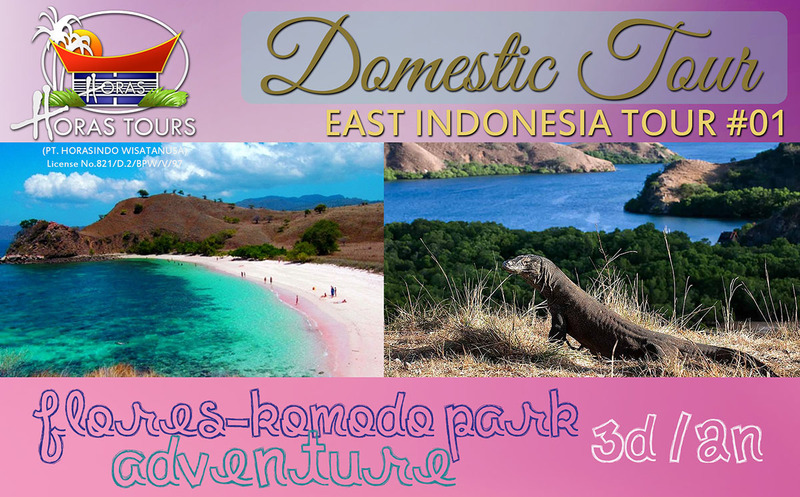 Discover Pulau Komodo, one of the World’s New 7 Wonders of Nature – one of the last sanctuaries for the endangered giant lizard (Komodo) and home to outstanding submarine richness as well as the unique pink sand-colored beach. While you’re there, be sure to visit the tri-coloured Lake Kelimutu in Flores – a lake with an ever-changing colour that remains a fascination to the world. 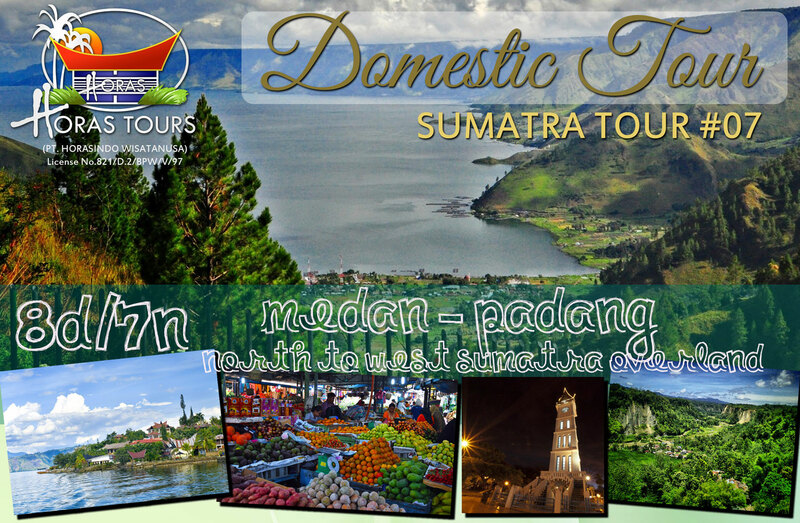 Enjoy your fun under the sun with our special East Indonesia tour package below. Contact us for a complete customized travel package.